Is there such a thing as a completely free online casino? The rapid growth of the online casino industry has helped create plenty of rumors about online gaming that may or may not have some degree of fact behind them. While they come in a multitude of shapes and sizes, the basic premise of many of these rumors normally revolves around the cost of play. 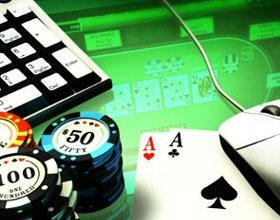 Now, there’s little doubt that you can enjoy most online casino games without any actual cost. In most cases, these sites will offer a free version of their best games to give you a better idea of the benefits of signing up. While this is a great feature, it is far from an indication that the casino is completely free. In actuality, completely free online casinos don’t exist if what you want is to make real money. In exchange for the comfort and convenience of an at-home gaming experience, players will be exposed to some costs that aren’t necessarily required at brick and mortar casinos around the world. For the most part, these costs associate with the withdrawal of winnings. While deposits are normally quick and easy, transferring your winnings back into your pocket requires more than a simple walk over to the chip counter when you play online. This is because of the costs associated with transferring funds. Depending on the actual withdrawal methods available at your choice of casino, there are most likely some methods that can save you some money on the transfer. Since direct bank transfers are often unavailable, common payment methods include mailed checks or independent third-party funding services. However, in order to utilize these services, delivery costs and service fees are unavoidable. As a result, in many cases, your withdrawals will be subject to the associated costs required to receive your cash. Unlike physical casinos, online casinos aren’t able to simply hand your winnings to you on the spot, so the idea of a completely free online casino isn’t realistic. Instead, you’ll need to find a casino that offers service fees and transfer methods that are acceptable to your individual preferences in order to maximize your bankroll. So, with these drawbacks in mind, why would anyone gamble with online casinos? Well, the convenience factor is certainly worth noting, but withdrawal fees may not be as limiting as they seem at first glance. Online casinos are able to counteract the sting of withdrawal costs by providing players with bonus promotions that land-based casinos simply can’t touch. These bankroll boosting offers will help you compensate for the eventual costs associated with claiming your winnings. While they aren’t free money, these deals do give you an opportunity to negate the inherent costs of online gaming over the long run. While completely free online casinos don’t technically exist, the innovation of the gaming industry ensures that the effects of necessary costs are minimized when you take your gaming experience to the web. Simply find a casino that offers the right terms, and you’ll be on your way. For clever players, a little luck and a deposit bonus or two will more than make up for the inconvenience of delayed payouts and transfer fees. A wannabe professional poker and blackjack player. Incredibly positive and an overall rock n' roll kind of girl. She moved from Canada a few years ago to find new horizons, more related to her gambling skills. Ended up working as a casino hostess in Vegas and then became a full time writer for Palace of Chance. What kind of poker is best for beginners? Trump vs. Clinton: Which Presidential Candidate is Best for Online Gaming?